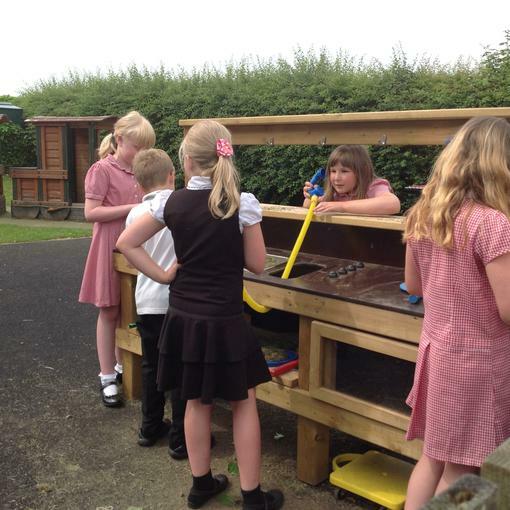 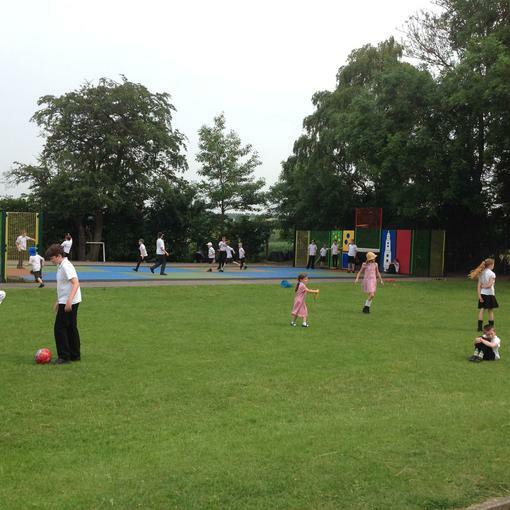 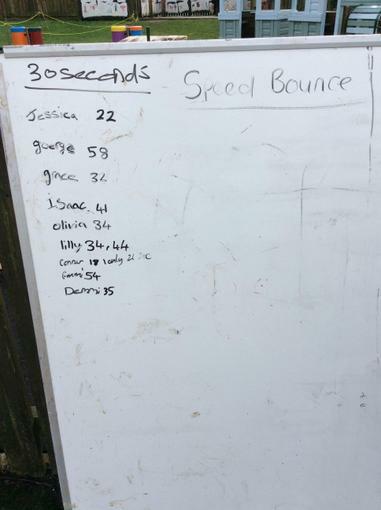 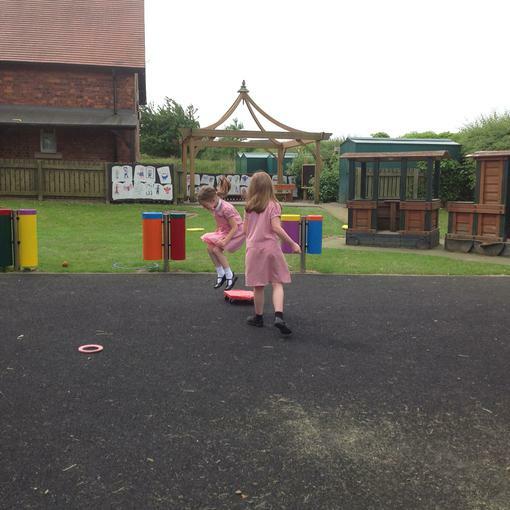 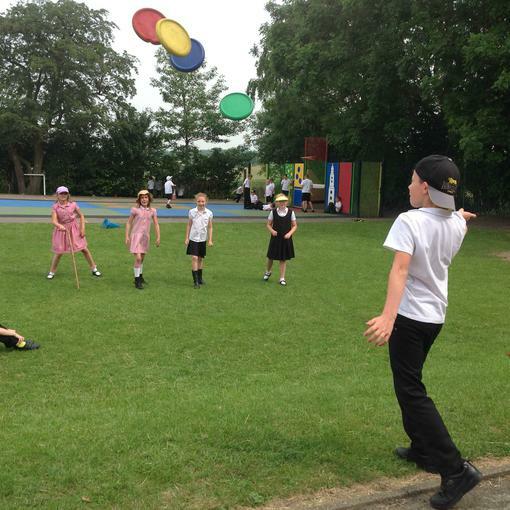 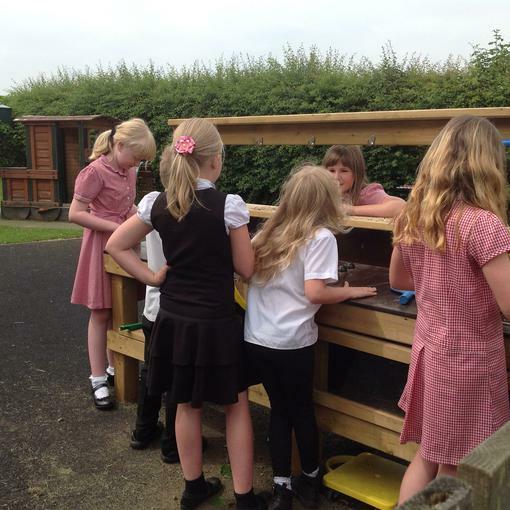 The children played 'Speed Bounce' today. 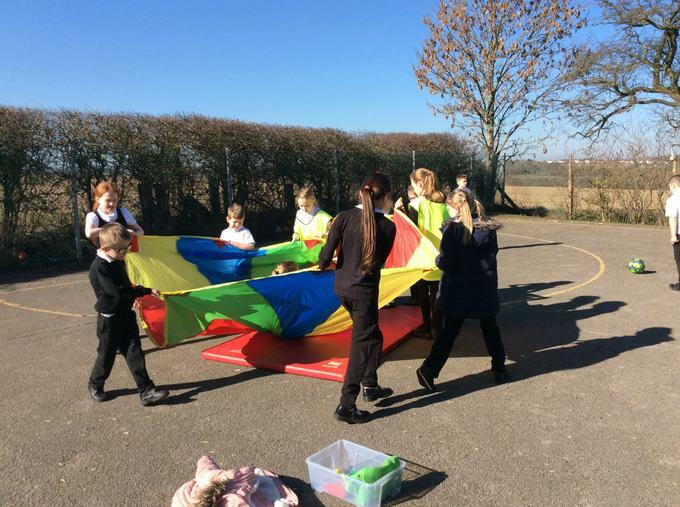 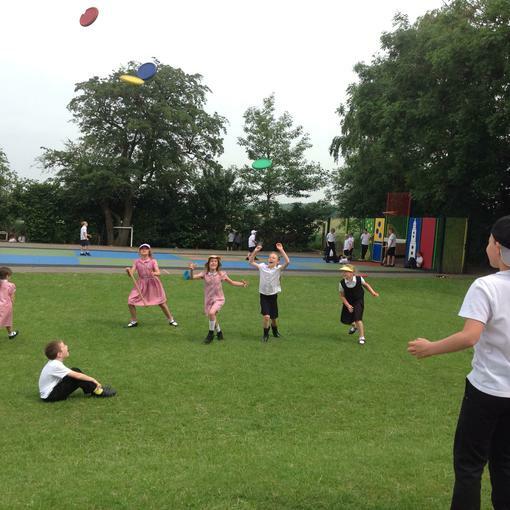 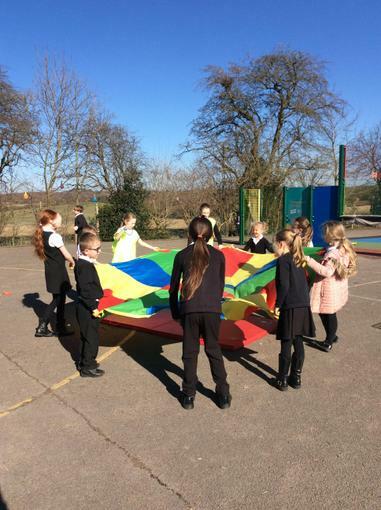 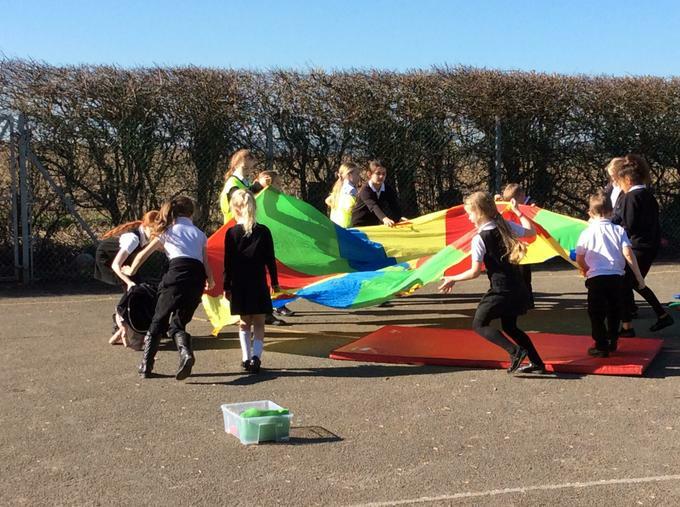 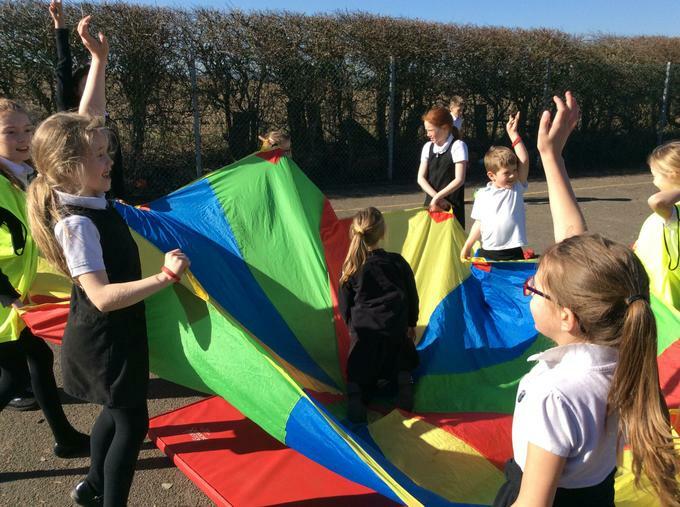 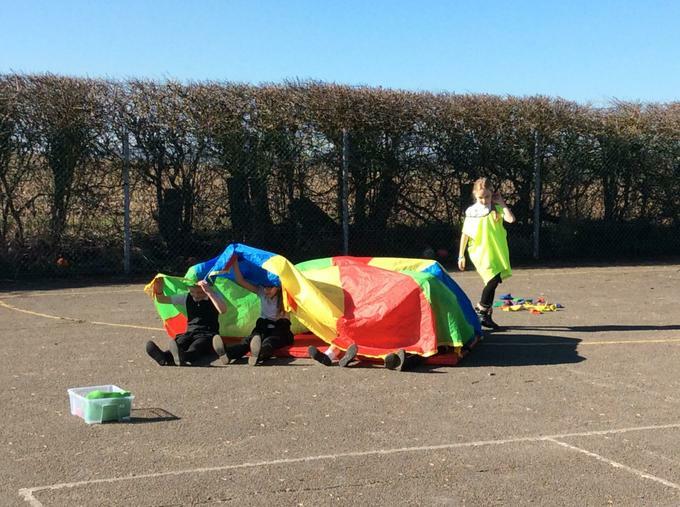 The children had fun with the giant Parachutes today at break time! 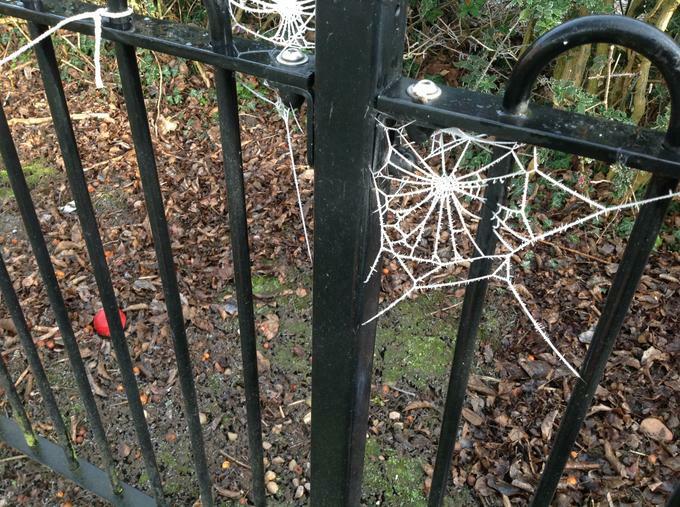 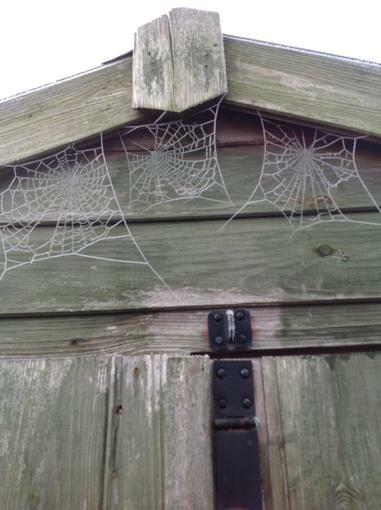 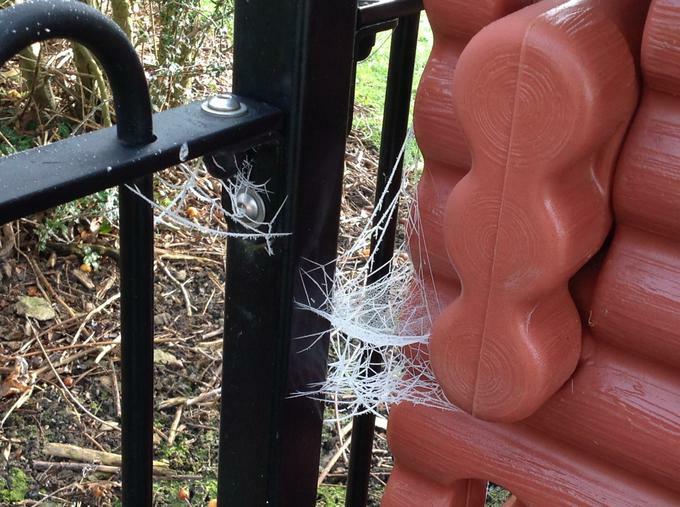 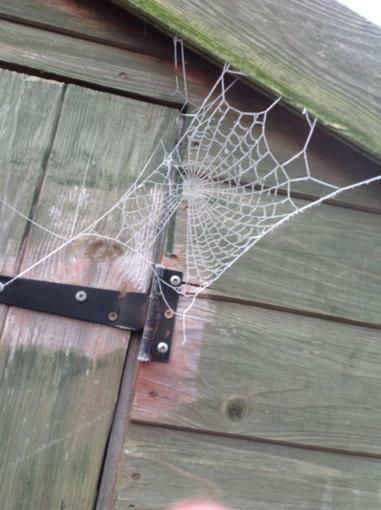 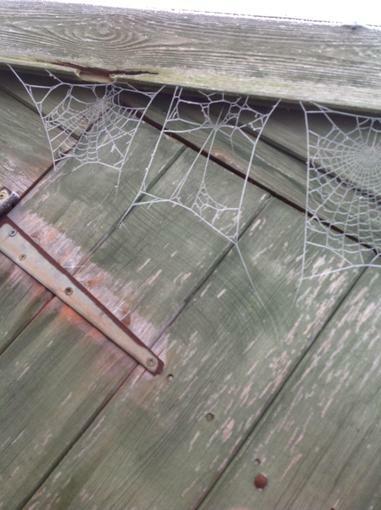 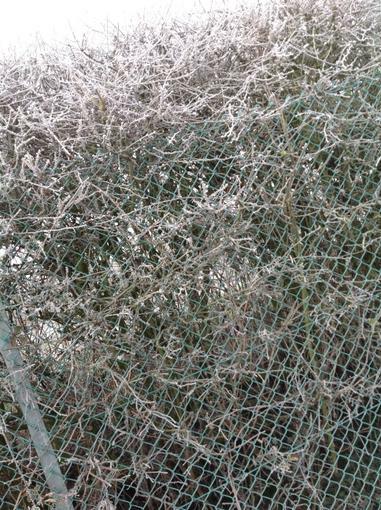 Today the cold weather came to Westhouses however it made for some fab photos! 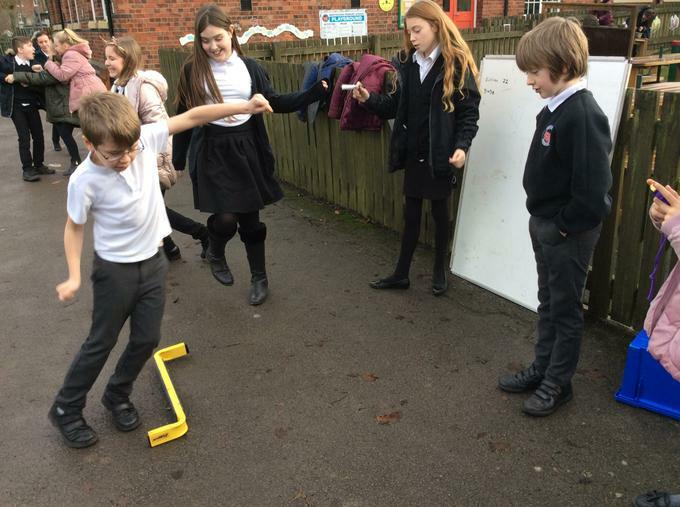 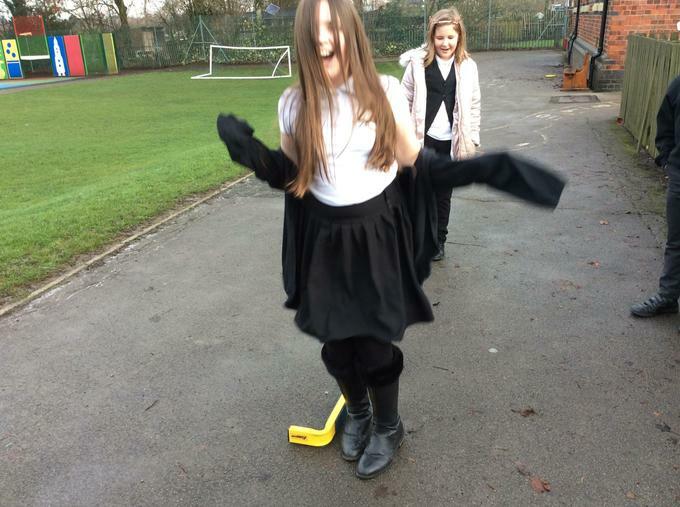 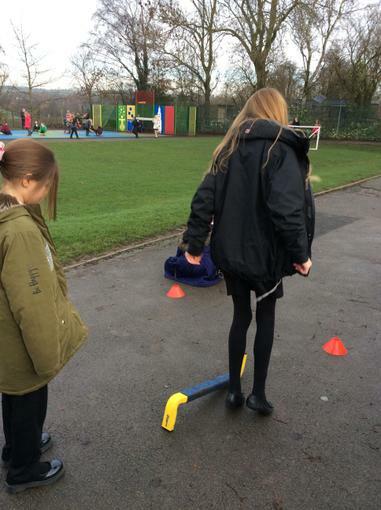 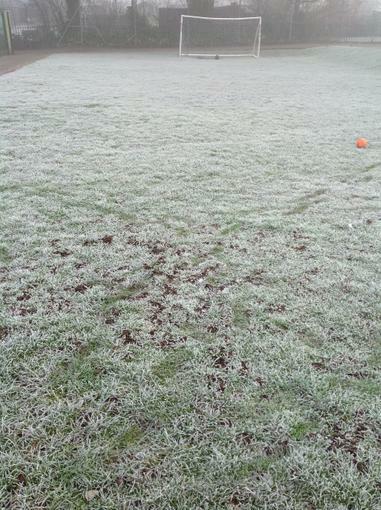 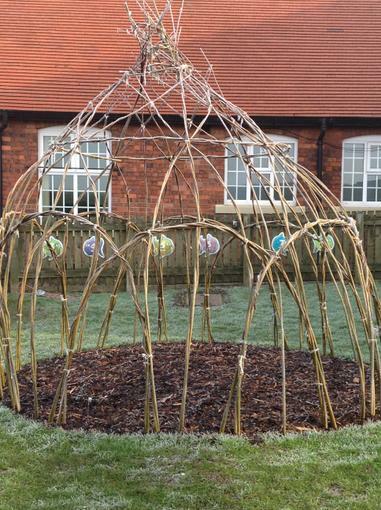 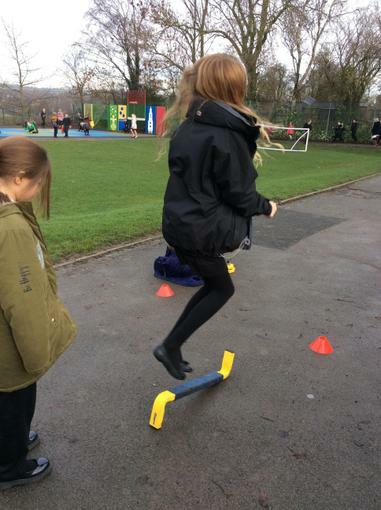 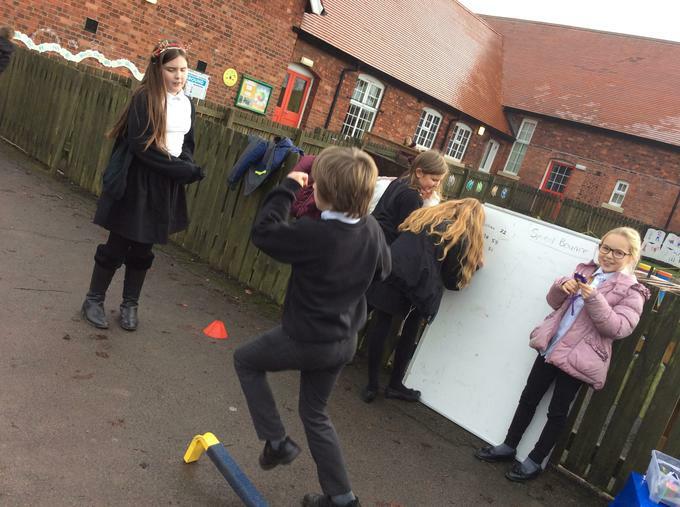 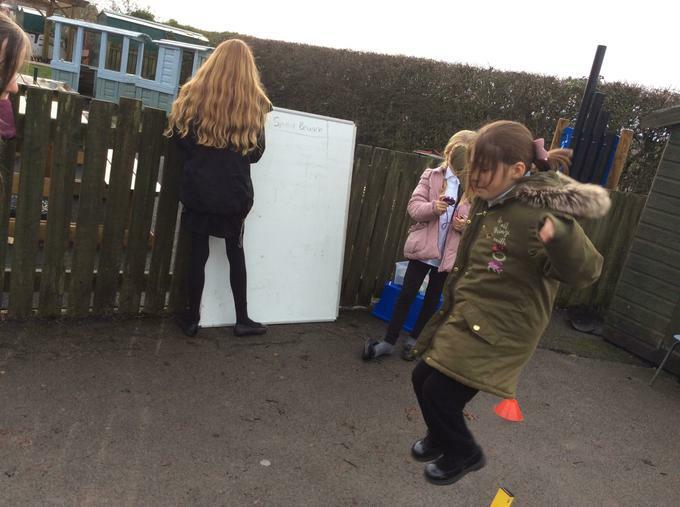 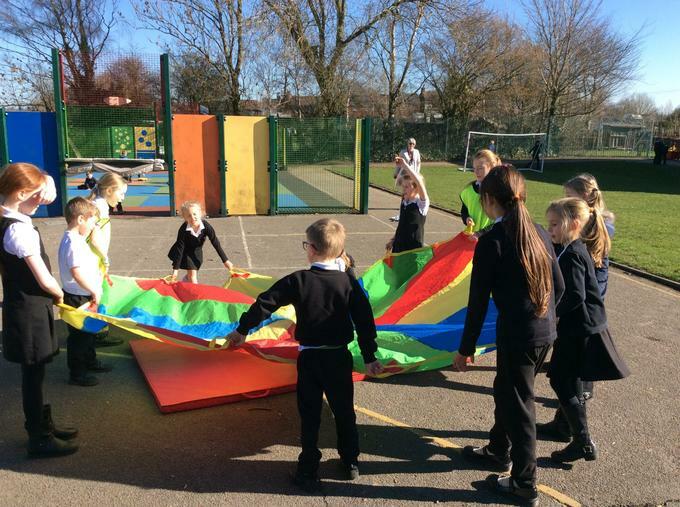 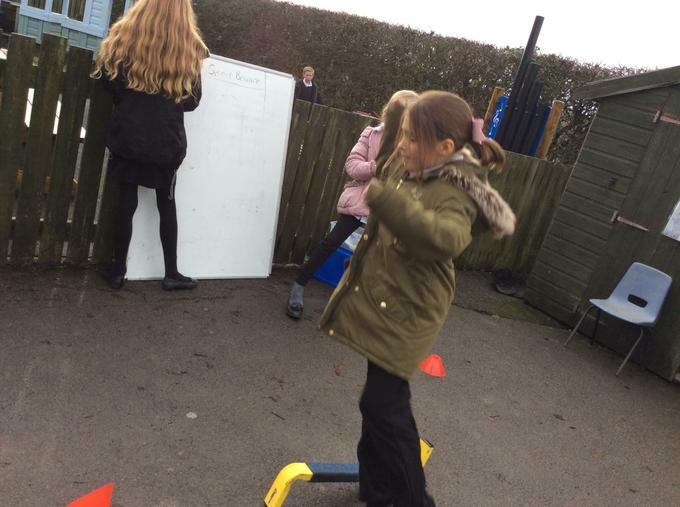 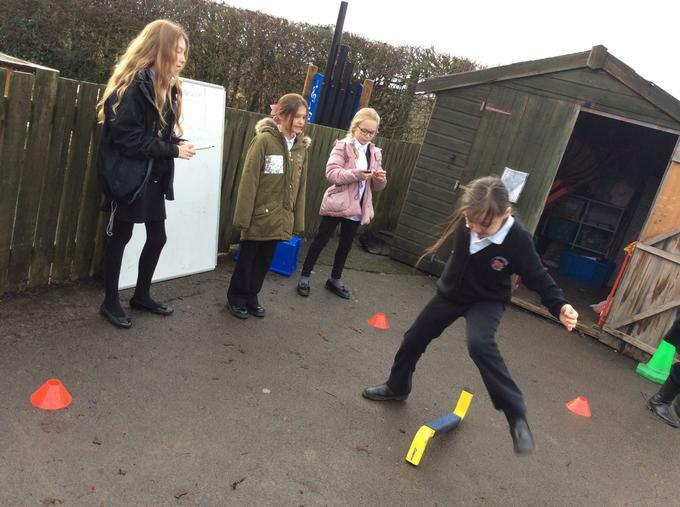 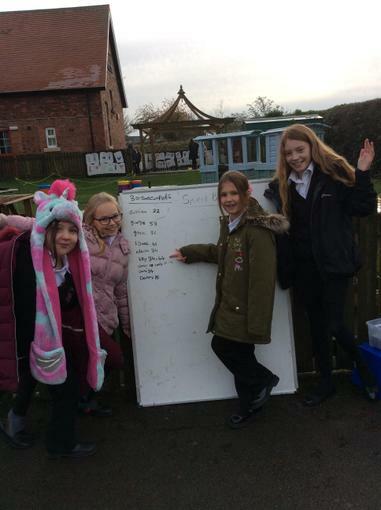 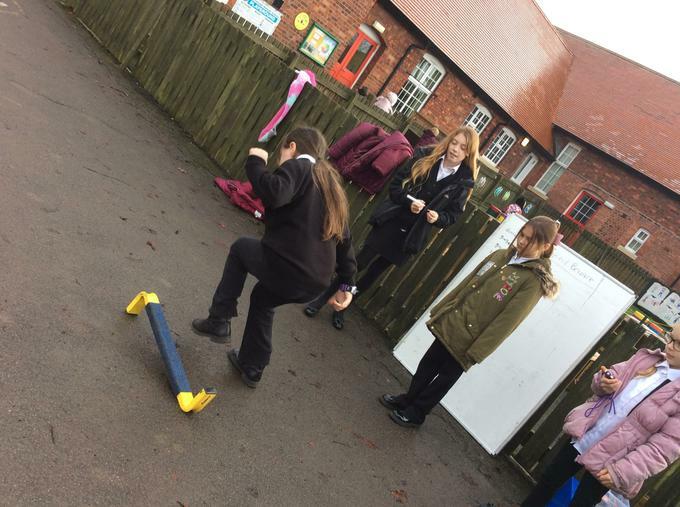 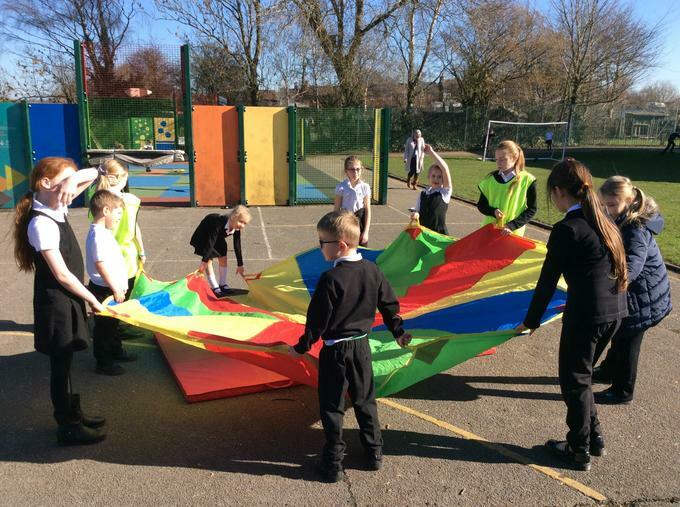 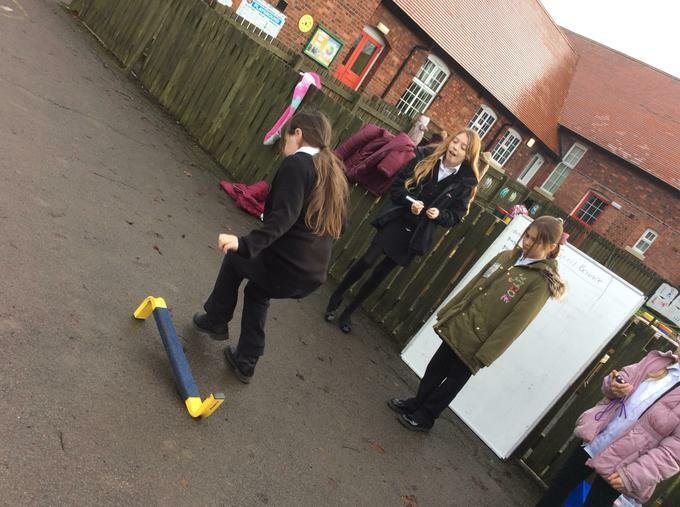 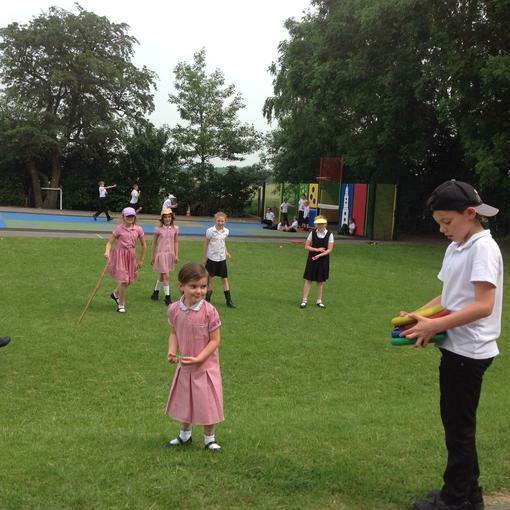 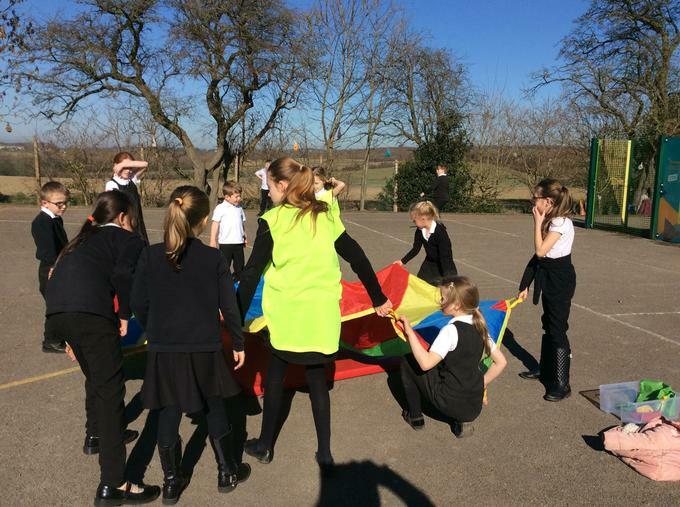 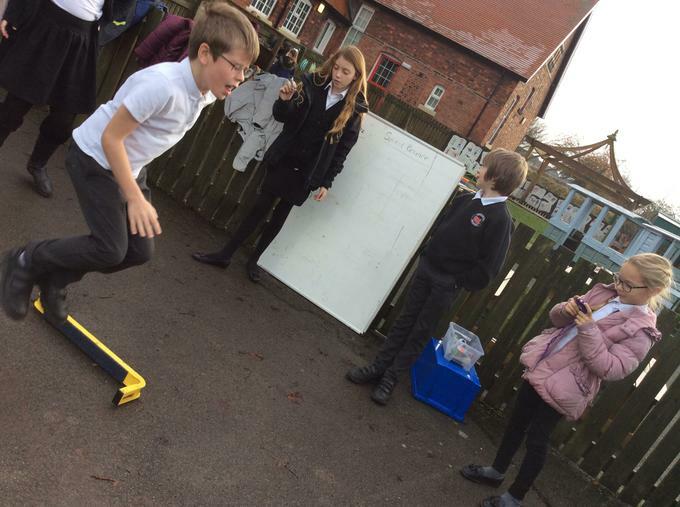 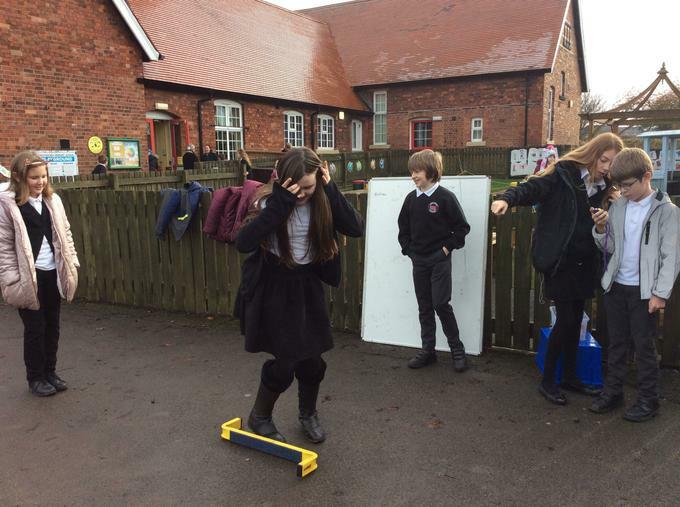 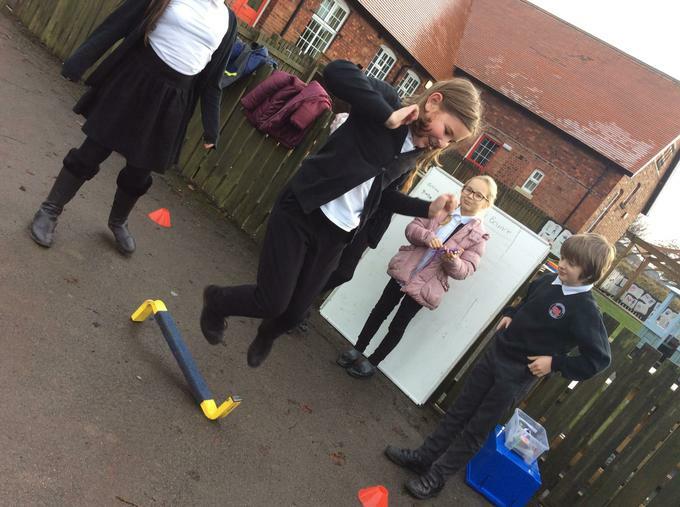 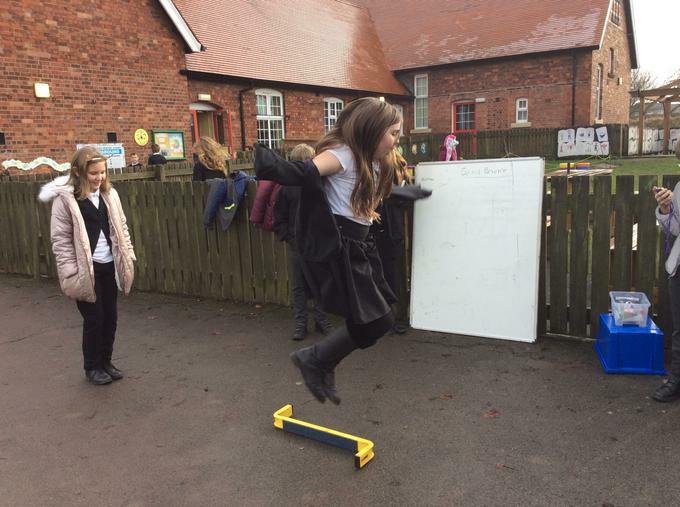 Thanks to your donations at the Christmas performances the children have had some amazing giant outdoor games! 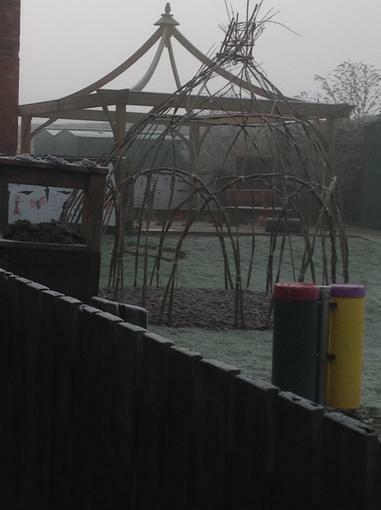 It's always a pleasure being out on duty at this school: frisbee, football, tag, den building, reading and playing in the mud kitchen today.